Agent Jane Blonde Returns from Stormcraft Studios is an adventurous slot for those that love to investigate and play detective! The set up of this slot is traditional consisting of five reels, three rows and 15 total paylines for you to venture on. It’s all about the respins, free spins and the stacked wilds in this slot as well as the symbol payouts rewarding you decently. This is your chance to take a trip into a world full of adventure as you play detective alongside Agent Jane Blonde while collecting some nice rewards. The scatter symbol has the game logos on it in big, bold letters which won’t appear during the respins feature. The wild symbol is Agent Jane Blonde herself and will show up stacked in the base game. The wild symbol can substitute for all symbols except for the scatter! Aside these two special features there are a few other symbols in this slot such as a red sports car, a laptop, a tracking watch, a travel bag, passports, money and four other female characters represented in distinct outfits and colours in the background to set them apart. If you land three or more scatters anywhere on the reels, you will trigger 15 free spins and what’s even more is that all the wins in this feature are tripled! Agent Jane Blonde will act as the slot’s wild symbol by substituting for all regular symbols and doubling any wins she assists in making complete. In order to trigger the respins feature, you need to land two or more scatters and once it’s been triggered then these symbols will turn into wild symbols. The wild symbols will then be held for the duration of the feature and the feature will continue until a spin occurs where there are no wilds that land or when every symbol position contains a wild. The wins will be awarded for the triggering spin and the final reel result! The wild symbol is the highest paying symbol in Agent Jane Blonde Returns awarding you with up to 20x your total bet for five of a kind. 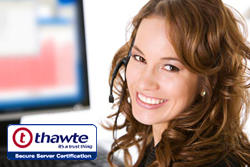 The red-haired woman and the woman wearing winged glasses and a hat can both reward you with up to 12x your total bet. The blonde woman dressed in a black suit and the diver in the purple suit can reward you with up to 10x your total bet. The red sports car, the purse and the passports can all reward you with up to 3x your total bet. Agent Jane’s laptop and tracking watch can both earn you up to 2x your total bet for five of a kind! The reels are set outside the big city floating above the river at night time; you’ll see the city lights shining in the background. The colour scheme of this slot consists of a lot of purple while the symbols are made with various, distinct colours to add a nice contrast. In the background you’ll hear a futuristic and upbeat soundtrack with some voice overs from Agent Jane here and there. The combination of the visual and sound effects work well together to create the overall ambience of this adventure, detective inspired slot. The autoplay button is right above the spin button and if you want to find the paytable info, it’s the three horizontal lined button on the bottom of the icon bar to the right of the play screen. 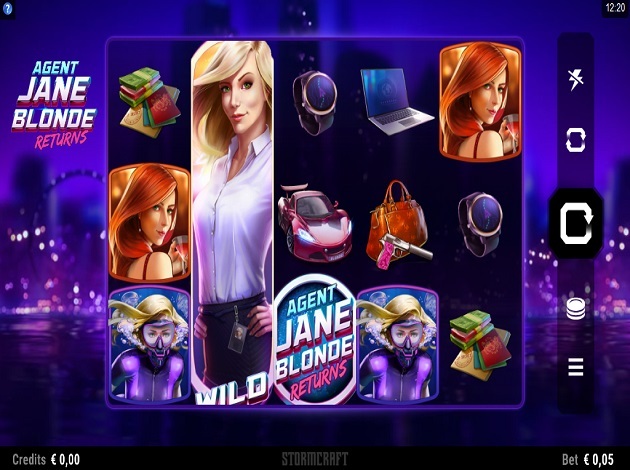 Agent Jane Blonde Returns is a refreshing and unique slot from Stormcraft Studios made with great animations and graphics that are detail oriented as well as perfected by the team behind the creation of this slot. Not only is the game aesthetically appealing but there are also fun and action-packed bonuses to look forward to as you take part in this adventure alongside Agent Jane Blonde. Trigger the free spins and be awarded with 15 free spins where wins can be tripled, activate the respins for wild substitutions that will increase your chances for winnings or enjoy the symbol payouts! Play Agent Jane Blonde Returns today at Videoslots!